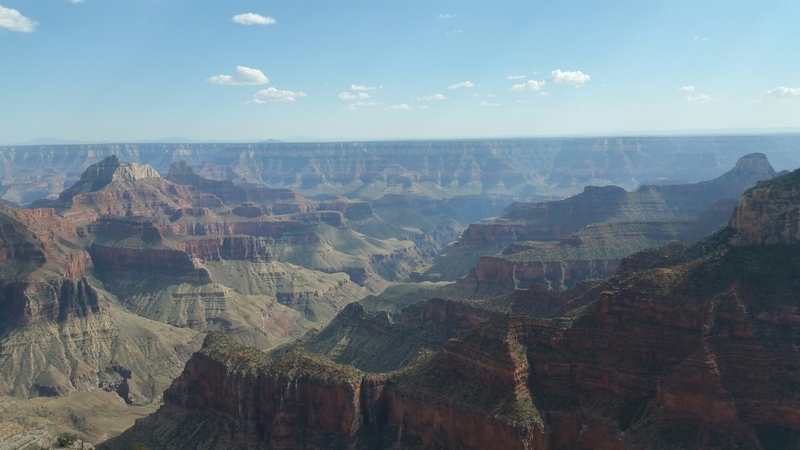 You are currently browsing the category archive for the ‘Places’ category. One of the locals trying to get in the house. A month or so ago one of the contractors working on the bathroom started hollering at me from the front yard. Seems we had a 3-4ft Bull snake heading for the open front door. I ended up chasing him across the parking area to where the gophers live. Hopefully it’ll stay over there and help with the gopher issues. Took a couple of hours three weeks ago to knock down the front area, then another two hours today to redo the front and add the whole side section. 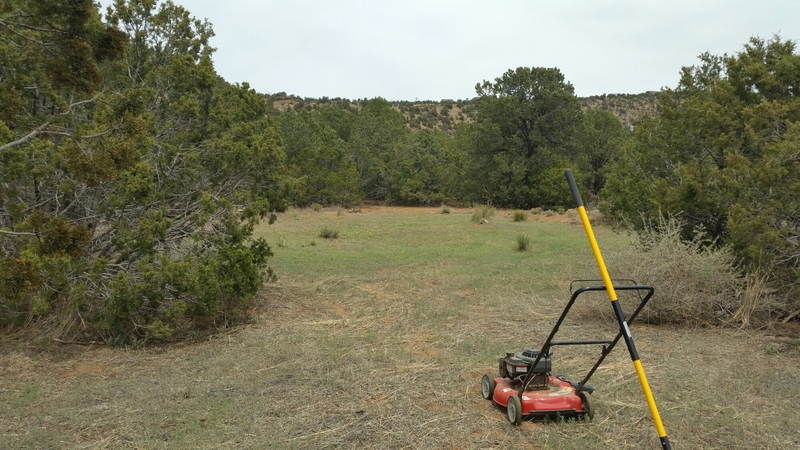 A lot of mowing was done to reclaim a piece of the property. We’re on 4.7 acres here. The area I removed after reclaiming a couple of weeks ago. 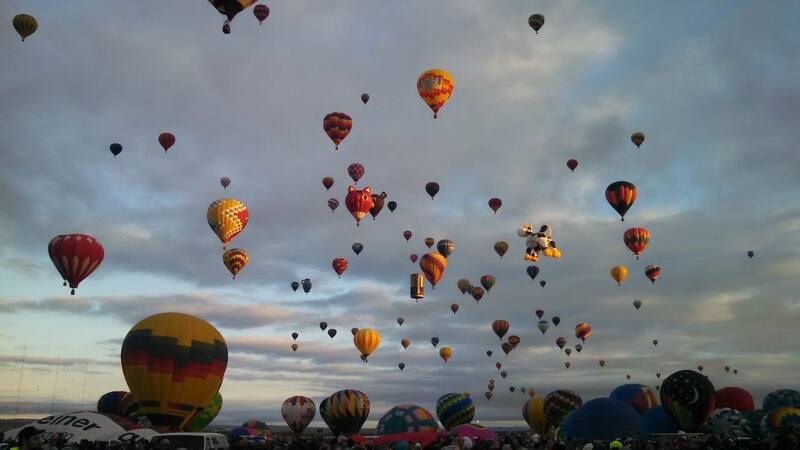 I didn’t realize that I have never put up any pictures of the Balloon Festival we have every October here in Albuquerque. Just to give a person a taste, here is one of the pictures I took right after we moved here. And this is just one wave. They have to send up the balloons in waves to give them enough space. 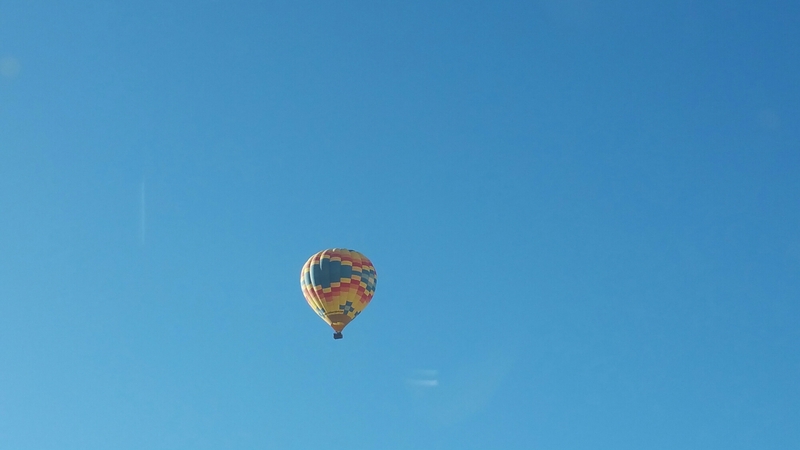 Now that summer is approaching we see a lot of hot air balloons on our morning commute through Albuquerque. This morning there were 8 balloons up. It isn’t the ocean, but it’s a pretty sight. I snapped this at the stoplight. 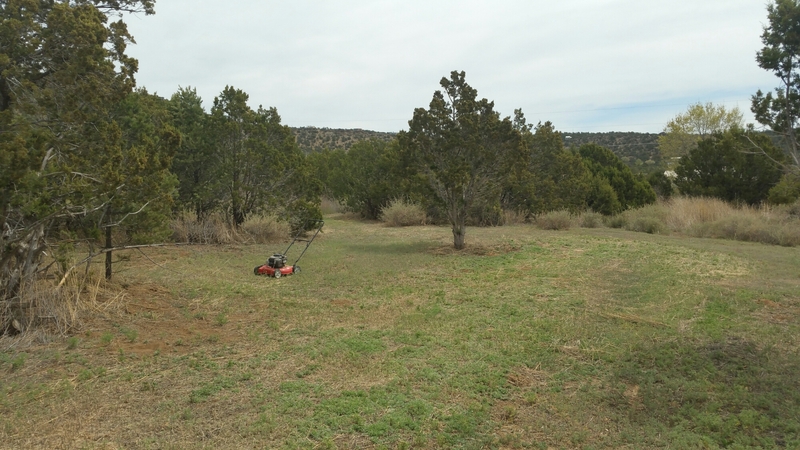 Just a couple of pictures of Tijeras, NM. 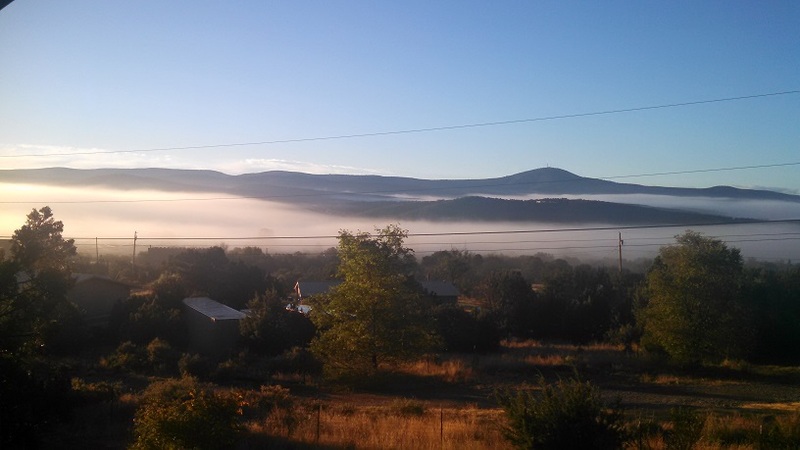 I thought I would put up a couple of pictures overlooking Tijeras from the house. Living up in the mountains is a lot different than city living. Well. It has been a while since I posted. Nothing new there I suppose. 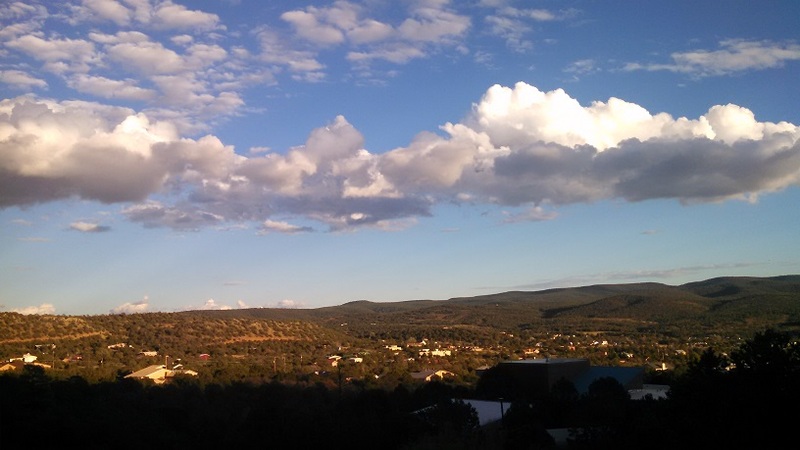 So, living in Tijeras New Mexico just outside of Albuquerque. What’s it like to live in the “East Mountains” as the locals call it? 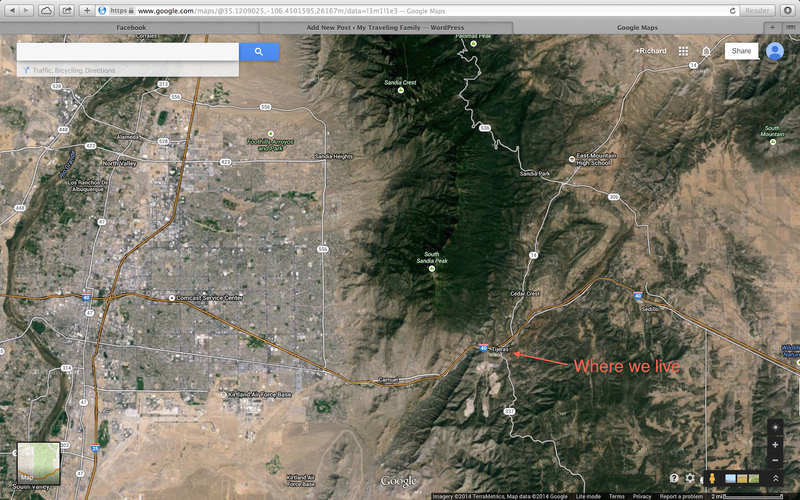 Up in the Sandia Mountains? Well, to start with. The water on Rincon loop is infamous for being so bad. Barely cleanable to drinking levels. In fact, we don’t. We use it for dishes, showers, etc. However, for coffee, drinking, etc, we use bottled water. 25 cents a gallon down at the grocery store. To give a brief description of what the water goes through between the well and the house. Pumps up and into a sediment filter, through an iron filter, gets chemicals added via a “chemical feeder”, into a 3,000 gallon holding tank where an ozone filter bubbles through it to remove the sulfur smell, back into a water softener with a salt brine tank, into the house where it splits into the heating system, showers, etc and also into a reverse osmosis filter system to make it drinkable. So, this Rube Goldberg system is fairly unstable. I’ve completely run out of water twice when something went wrong. I’ve dealt with an overpower sulfur smell when the ozone filtration system broke, had black water a few times when the water softener back flushed pellets, and have had the well head freeze. I’ve also had a pipe break in the well house, soak the thrown in insulation to the point the Mickey Mouse wiring shorted out and had smoke coming out of the well house. Turns out they ran 220v through a 110v line. But on the flip side. Living in the mountains brings me things like this. The day after Christmas we had about 4 inches of snow. It was beautiful. The nights are starting to get colder here in New Mexico. Chatting with the locals down at the feed store, yep we have a feed store, the hardware store, and the post office, they all agree that we should have had snow by now. It’s going to be an unusual year is the consensus. I fired up the pellet stove for a few hours last night. Let it burn while I was reading a book then I watched a silly show on Netflix. 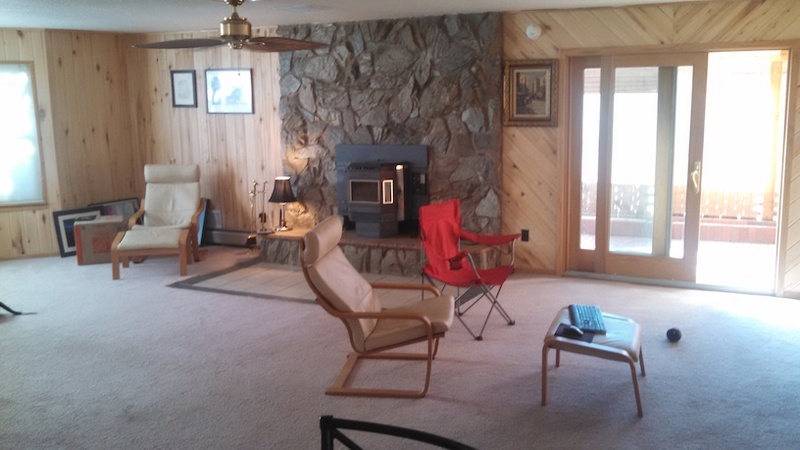 What is hard to see in this picture of our family room is that the sliding door goes out into a sun room that gets 20+ degrees warmer by the end of the day than the rest of the house. It’s a big green house basically. It was built with 3×55 gallon drums of water, bricks, and other heat sinks so that they absorb the warmth during the day and slowly release it back at night. I’m curious how much difference it will make as the winter temps arrive. Living in Tijeras is going to be okay I think. It’ll be interesting to see how well we can get up and down the mountain pass when the snow starts flying. Well, after living in a hotel for almost two weeks we have found a house and are starting to move in. We looked at a lot of cookie cutter type suburban houses in Rio Rancho, Ventana Ranch, etc. The schools there are pretty decent, but huge. 2000+ students each. 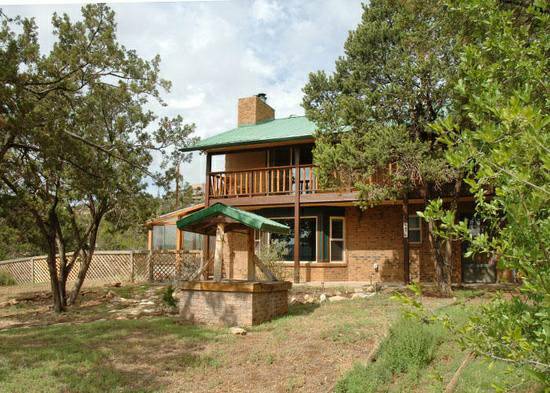 Then I ran across a house up in the Sandia Mountains only 20 minutes from my work on Kirtland Airforce base. It’s a 4 bedroom, 2 1/2 bath house on 4.7 acres with a 1000+ shop. Woot woot! The little well in the front is a mock up of an old style well, covering the actual well for the house. Kind of a neat idea really. In all reality the house is way bigger than we needed, but the price was decent and affordable. The environment was one that the girls and I enjoy. We’re not really city folk. We can pretend, but sometimes the redneck in us slips out. I like living in an area where the neighbors wave at each other and you get to know the folks at the local market by name. 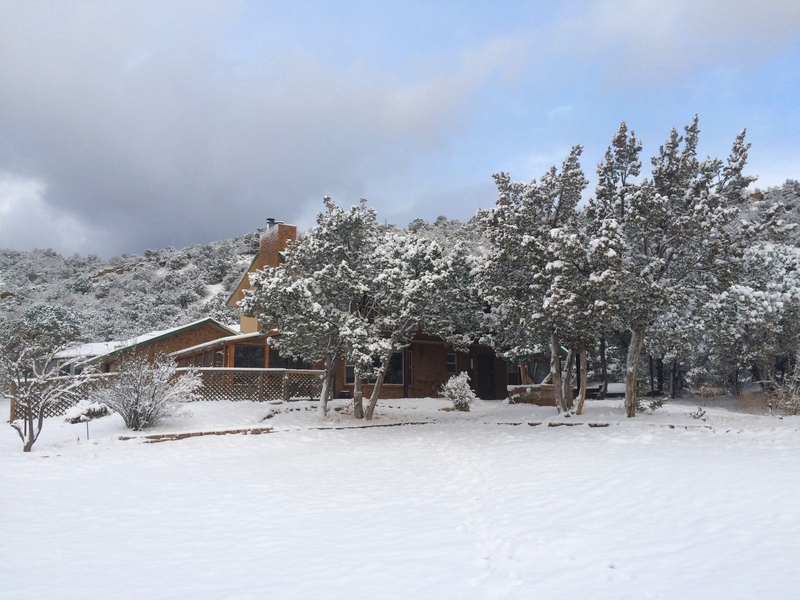 While only 20 minutes from downtown Albuquerque, we are also only 20 minutes or so from the Sandia Peak Ski area. My one main concern was internet access. That’s a must have for this family. Well, I’m updating this page on a 50Mb/s link. Twice as fast as what I had in Monterey California. As for schools. Well, that’s a bit of an issue right now. There is an awesome charter school here in Tijeras. It has 368 students right now in 9-12 grades. Very small. Last years graduating class had 80% of it’s students go on to a 4 year college or university. Of those, 90% had partial or full scholarships. The downside is that the girls cannot get in until January. Which means either one of the schools in downtown Albuquerque, or an online virtual academy. We are working out those details.